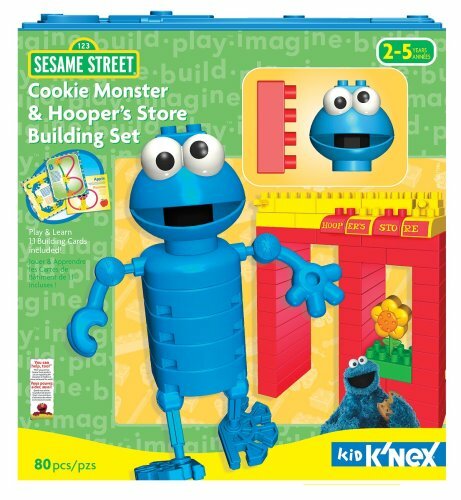 Build Cookie Monster & Hooper's Store at the same time! Learn your ABC's with the 1:1 correspondence building cards included in the set. Building cards also feature alphabet, fruit and vegetable building ideas Handy storage tub with window to highlight the character and pieces. 80 pieces.